Discussion in 'Safari' started by Whereabouts Unknown, Feb 13, 2019. Valentine's Day is right around the corner, and that can only mean one thing. That's right, our first ever Valentine's Day Trials Event! What, were you expecting chocolate? A 20-day-event where every safari players will have a chance to win one of 3 major prizes. Starting from February 13 to March 6, every players will be given with series of missions divided into 7 tiers. Each tier has 12 (yes, twelve!) missions. You can access your available missions and points by typing /trials. And of course, so that everyone feels special, there is a nice prize for completing any mission! To see the points payout per tier, click inside this spoiler. Gather as many points as you can! in addition to 16 BRIGHT EGGS for both them and the lucky Isn't that splendid? Daily login gives you an additional 1 point per day. Furthermore, an extra special 10 points can be rewarded for posting in this thread, same as last time! This time, we're asking you to write a limerick. 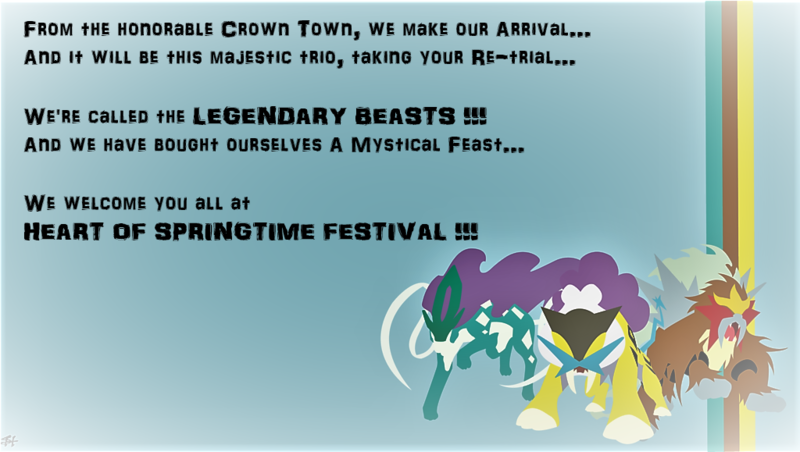 It doesn't have to be good, but it does have to fit the rhyming scheme of a limerick, and it MUST relate to Pokémon! If your limerick is deemed to be sufficiently "funny" or "poppin'" you are eligible to win an extra special prize! The final payout has been changed based on the increased amount of possible points due to there being 12 missions per tier. However, the prizes are the same as last time. Players will be given 3 chances of trial 'forfeit': if ever you get stuck on a trial that you can't do for some reason, we can forfeit the trial for you if you completed all other trials at that tier. 1~99 Points: 5 Golden Baits, 10 Silver Coins, 1 Ampere Gem, 1 Eviolite, 2 Nuggets and introducing our mystery item "DEW" and that's 50 dew. JoyFrost and RedJoker25 like this. that a gall can make gallade. who made half a LIMERICK. But nobody gives a FLICK. LIFO, Whereabouts Unknown and JoyFrost like this. HBC Health, Beauty and Cosmetics! Since it's PO-Safari related, do I get bonus pts ? I lack a master ball to play. how can I catch them all? Now I am filled with much dismay. There was once a Noctowl, who was sitting with a big scowl. Because it was hungry, it became very angry. Its belly gave a loud growl. There once was a trainer named Red. His team up Mt. Silver, he led. Only ".................. .................." is left to be said. La.Neptune and Whereabouts Unknown like this. * "I'm gonna be strong, Type: Wild!" She's not a psycho, but cute like a Treecko! Or I'll be dead by June. By some evil assassin named Riko. RedJoker25 and Whereabouts Unknown like this. Deemed to be a pokemon queen! Who feels like a very feminine pokemon. When a Sylveon lover comes in and finds this Sylveon, she said: "You looked very feminine!" Sylveon said: "No! I am strong and masculine, honestly!" Fairies are designed to be feminine creatures but that does not mean it is 100% feminine. I worked hard to earn my Safari-bucks. So I thought I'd have all the event luck. So in which case I am royally fucked. 'Twas just yet another old Mew. THANK YOU SO MUCH SAFARI !!!!! mibuchiha Was yea ra chs ieeya.